The World War movie genre depicts, what once was everyday Americans, in places that would seem completely foreign to today’s Americans. 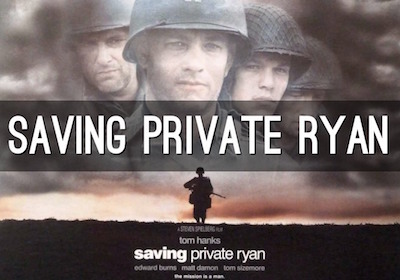 These films portray the social relationships of the soldiers just as much as the battles. 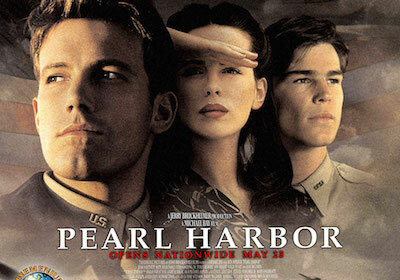 Films such as The Lost Battalion, Saving Private Ryan, Pearl Harbor, and Windtalkers and especially the mini-series Band of Brothers depict personal struggles in such a way that it would be impossible not to develop a new sense of respect for the “greatest generation” that lived through the uncertain times of the first half of the twentieth century. The subject is so broad that it would be impossible to cover anything more then a small locale or the experiences of a small group of people. Because these movies focus on the smaller picture of the wars most people fail to realize that there were nearly 20 million Americans involved in military service and an uncountable number involved in the civilian effort at home. This website will document five modern movies and five classics and compare them. 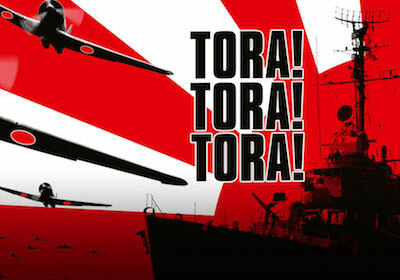 "Classic movies" such as The Desert Fox, Tora! Tora! 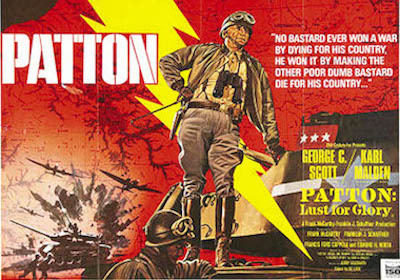 Tora!, Patton, To the Shores of Tripoli, and Patton take much different approaches to the movie genre. These films focused on well known leaders -- portraying them as gods among men, propaganda, or the inspiration of the American public. Patton and The Desert Fox followed the United States' General George. S Patton ("Old Blood and Guts") and Germany's Generalfeldmarschall Erwin Rommel ("The Desert Fox"), respectively. 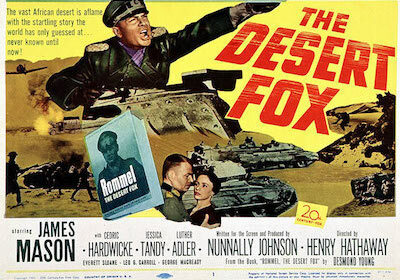 Both films presented both characters in a near-historically accurate fashion, The Desert Fox even faced criticism for being too accurate in the minds of some American critics. Tora! Tora! Tora! and The Longest Day both portray the events with people representing both the Allied and Axis sides and takes "historical accuracy" a step farther in that each character speaks the language of his country in the movie with English subtitles below. This is much different then what most modern movies would show. Tora! Tora! Tora! even goes as far as trying to correct history by not placing blame on General Walter Campbell Short and Admiral Husband Edward Kimmel. Both became scapegoats for American unpreparedness shortly after the attacks on Pearl Harbor. How accurate were the movies? Did the date they were made effect how closely they follow history? Take a look at the different sized casts used in war movies. Reviews of the different films, both new and classics, that portray the world wars. 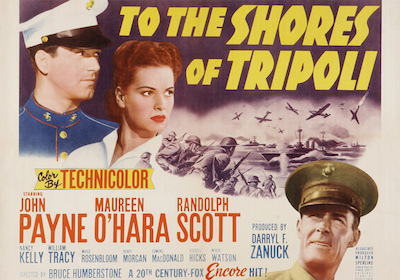 Here you will find a list of the movies depicted on this website and the trends of the importance of historical accuracy in World War II films. The most accurate movies were produced during the early to mid Cold War era(with exception to Band of Brothers)where as the least accurate movies have been more recent movies. Here you will find a list of the movies depicted on this website and how they portrayed the wars by either following a large group of soldiers or a small unit. The larger cast movies were popular in the classic movies, with the exception of Band of Brothers (which was a ten hour marathon). The recent trend tends to focus on small groups of men. 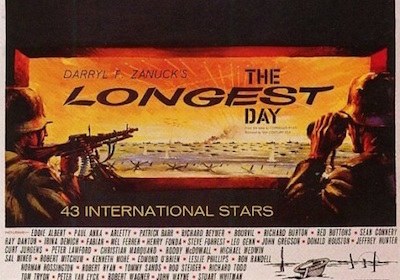 The size of the cast for The Longest day was astronomical...in the hundreds. World War based movies have become more intense, more graphic, and more local over the past century. They have also become smaller mainly because older movies, such as The Longest Day and the original The Battalion, used veterans from the wars on their respective casts and crew. 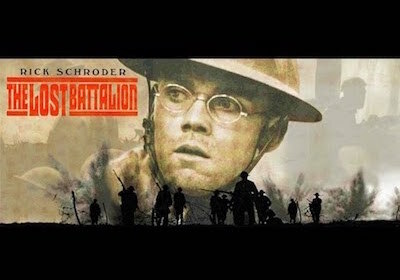 Saving Private Ryan, The Lost Battalion, and Windtalkers take place in Europe during World War II, Europe during World War I, and the Pacific war respectively. However, each movie has a common theme in that one strong main character leads his soldiers through what would seem to be an impossible task. The main goal in Saving Private Ryan is to find a lost soldier somewhere in Europe after the Normandy invasion had just started and bring him back. 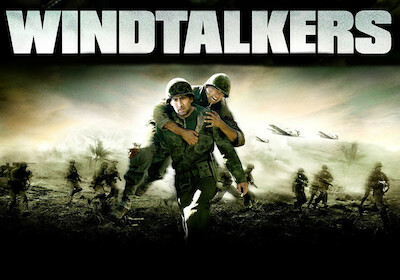 The opposite takes place in Windtalkers where one strong, war hardened sergeant must protect “The Code”, even if that means killing his code-talker to prevent him from capture. The Lost Battalion shows an exceptional leader in that of Major Charles Whittlesey. Whittlesey as well as all his men had no military experience before the war broke out but they managed to “hold the line” against waves of German attacks with barely any ammunition, men, food, or hope. 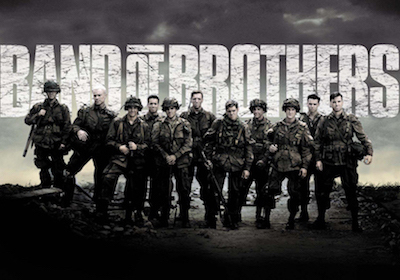 All these movies follow a small “Band of Brothers” and audiences are amazed by their bravery. Because of these small representations in modern films many tend to forget there were one billion deaths during the years of World War II, and hundreds of millions serving in active duty all around the world. Anyone without much background on the history of the wars may easily get the impression after watching The Lost Battalion that because the battalion held their ground against all odds, the war was won. This is far from the case as the war was nearly over to begin with. One may get the impression after following Easy Company in Band of Brothers that Easy’s participation in the war, won the war. We see Easy train in America, para-drop into France the night before D-Day, fight through the Battle of the Bulge to Belgium, and all the way to and through Germany. To top it off, Easy Company captures Hitler’s Nest high up in the mountains at the end of the series. Lawrence H. Suid , however, believes that American’s who leave theatres today believe these movies to be fake and they know they “are seeing actors who go up at the end of the filming, took off their costumes, and went back to their hotel rooms. Viewers consciously or unconsciously recognize that [producers] are manipulating their emotions.”(Source 1) Most modern films advertise something along the lines that “it is based on a true story” and because of this, audiences leave believing that what they saw was what the war was actually like. When people produce images with their imagination about what the Normandy Beach was like on June 6, 1944 they use what they saw in these films as reference. Love or hate the site? Have a movie you'd like to see reviewed? Let us know what you think!